Barcelona reportedly rejected a bid in excess of €70m from Paris Saint-Germain for Ivan Rakitic, but a bid matching his release clause could force a breakthrough. The 30-year-old has proven to be a fundamental and reliable individual for the Catalan giants since joining the club from Sevilla in 2014. He has made over 50 appearances in each campaign he’s spent at the Nou Camp, thus showing his consistency and the importance he has in his respective coaches plans, with that trend continuing under Ernesto Valverde last year in his first season in charge of the La Liga giants. However, as per Mundo Deportivo, the Croatian international continues to be linked with a switch to PSG and although a €70m+ bid is said to have already been rejected, it’s suggested that should the Ligue 1 champions match his €125m release clause, that could be the only way to force an exit. Much will also hinge on whether or not Rakitic even wishes to leave Barcelona of course, as ultimately it would then come down to agreeing on personal terms. Barca will surely be desperate to avoid a situation in which they see him depart so late in the transfer window though, as they’ll see the deadline pass next Friday which doesn’t give them a great deal of time to replace Rakitic if he does leave. Nevertheless, the tone from the report is essentially that Barcelona have no desire to see the midfield stalwart leave, and so they’ll hope that PSG don’t test their resolve and that of Rakitic by offering the €125m needed to exercise the clause. 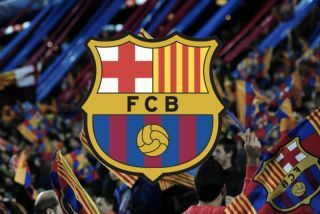 Valverde will be looking to build on last year’s domestic double, and having overseen a reshuffle in midfield already this summer with Arthur and Arturo Vidal filling the voids left behind by Andres Iniesta and Paulinho, further unrest caused by a Rakitic exit would surely be undesirable.